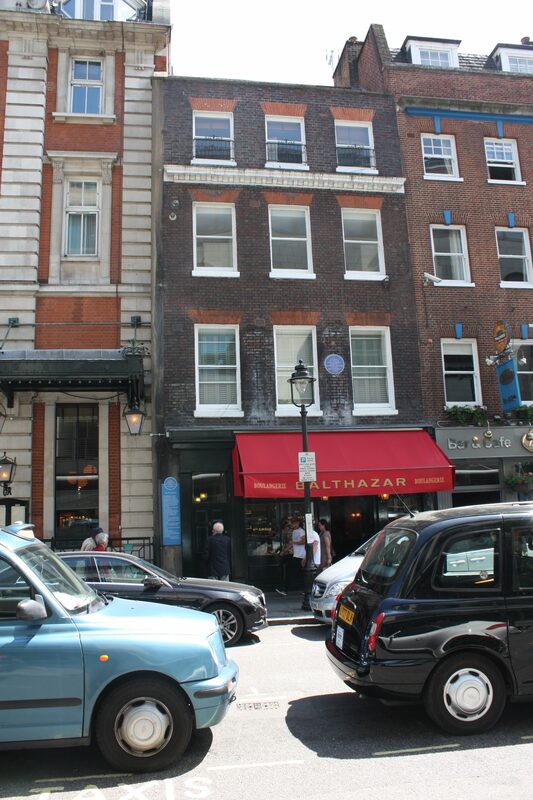 This is 8 Russell Street, leading to London’s Covent Garden. It was a bookshop in 1763. 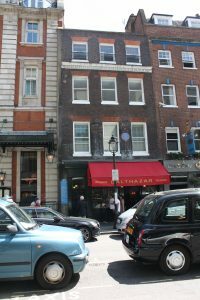 On Monday, 16 May of that year, Dr Samuel Johnson dropped in to see the bookseller, who was a friend of his. He didn’t know it, but he was about to meet James Boswell for the first time, his lifelong friend and biographer. Mr Davies mentioned my name, and respectfully introduced me to him. I was much agitated; and recollecting his prejudice against the Scotch, of which I had heard much, I said to Davies, ‘Don’t tell where I come from.’ – ‘From Scotland,’ cried Davies roguishly. Thus was born a lifelong literary friendship.